“Save my hands!” How many times have you stood at the bar thinking this, when you should have been focusing on your workout instead? We feel your pain… literally. Gripping the bar is the very first step to any weight lifting workout. If you don’t have a good grip, it’s not only distracting, but it hurts! Worst of all, it prevents you from achieving your workout goals. Let’s face it: A workout isn’t successful when your grip gives out before your biceps do. The solution to this problem is simple: weight lifting grips. Bye bye injuries! Weight lifting grips protect your fingers, hands and wrists. When most people begin fitness routines, the last thing they think about is their grip. If you’re like the majority of gymgoers, you’re focused on ripped biceps and triceps… not the thirty-five super small gripping muscles in your fingers, hands and wrists. These muscles are not only among your body’s tiniest, but they’re also some of your most used muscles. Think about it. In the last day, how many times have you turned a doorknob, picked up a glass, typed on a computer or pressed a button on your remote to change a TV station? With the exception of when you’re sleeping, your grip muscles are almost always being used. They should be so strong, right? Wrong. Because they’re so tiny, they’re usually the weakest muscles on most people. This means that it’s easy for them to become injured. You could spend lots of time working on your grip strength, but if you’re already feeling pain at the bar, this isn’t a good idea. And if you’re in the gym trying to build muscle, do you really want to spend precious time working on your grip? The solution, again, is simple: weight lifting grips. Weight lifting grips are a much better choice than conventional straps and gloves. It’s no secret: Conventional straps are really, really bad for your wrists. They put pressure on your wrists which can lead to nerve damage, carpel tunnel issues and vestibular damage. On the other hand, weight lifting grips protect you by allowing the weight you’re lifting to rest on the base of your hand, not on your wrist. Whether you’re doing pull-ups, rope climbs or bar work, weight lifting grips improve your arm training exercises by giving you grip assistance and incredible wrist support. In addition, they protect your fingers and hands from calluses, blisters and other injuries. And when it comes to gloves versus weight lifting grips, grips win out every time. They give you the same amount of protection as wearing gloves, but are cooler, as your hands are not completely covered. 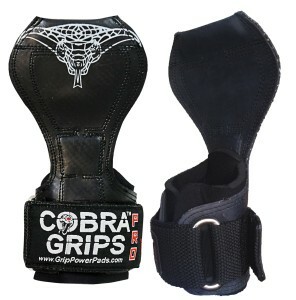 Looking for the best weight lifting grips on the market?